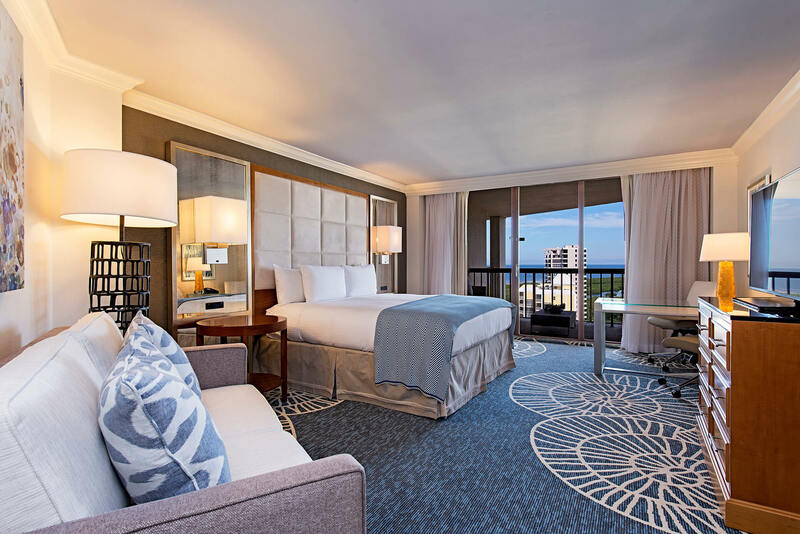 Renovated Coastal View rooms offer modern decor, luxurious bathrooms and stylish furnishings. 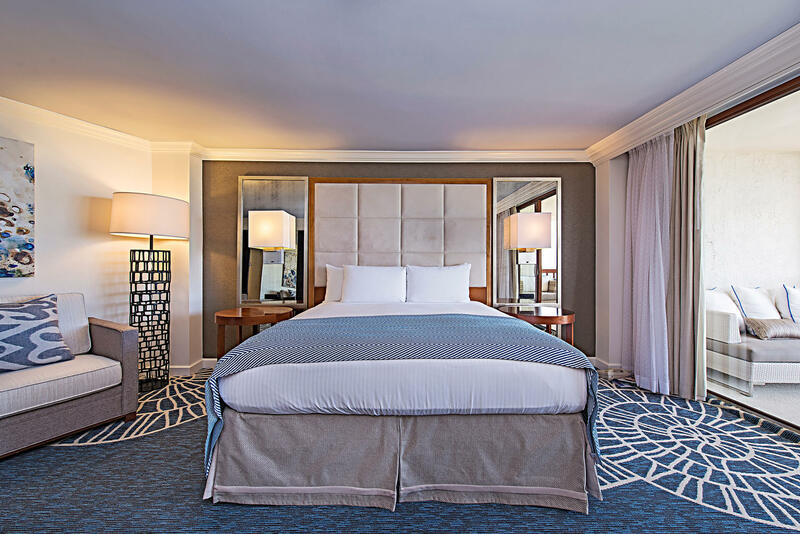 Each spacious room offers ultimate indulgence on floors 3-5 of our Tower. 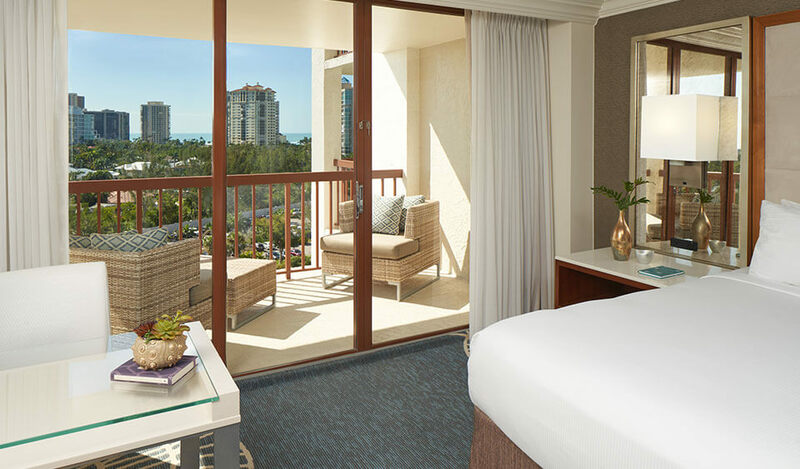 Double your exposure with this elegant choice of rooms at our Naples resort. 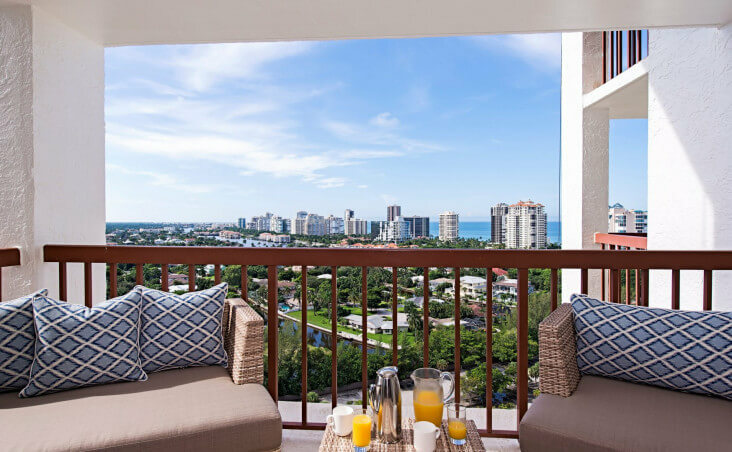 The Double Balcony Rooms offer two views of the City of Naples and the Gulf, giving you the ultimate feeling of freedom. 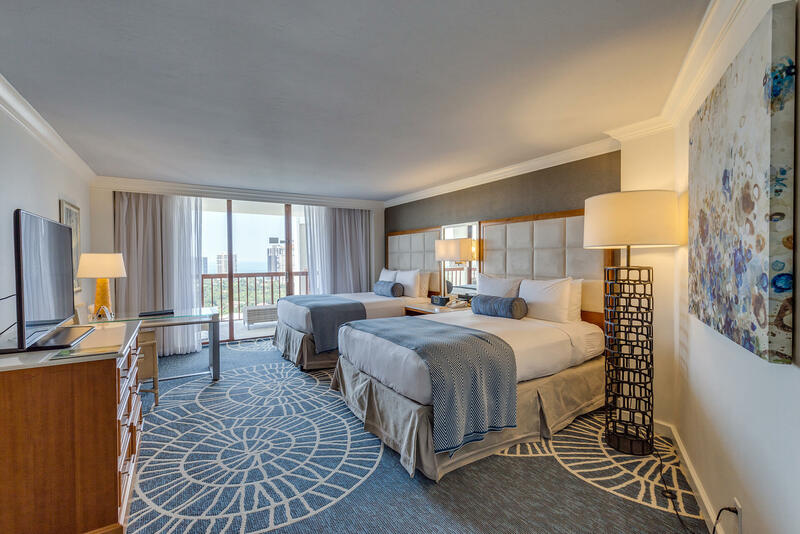 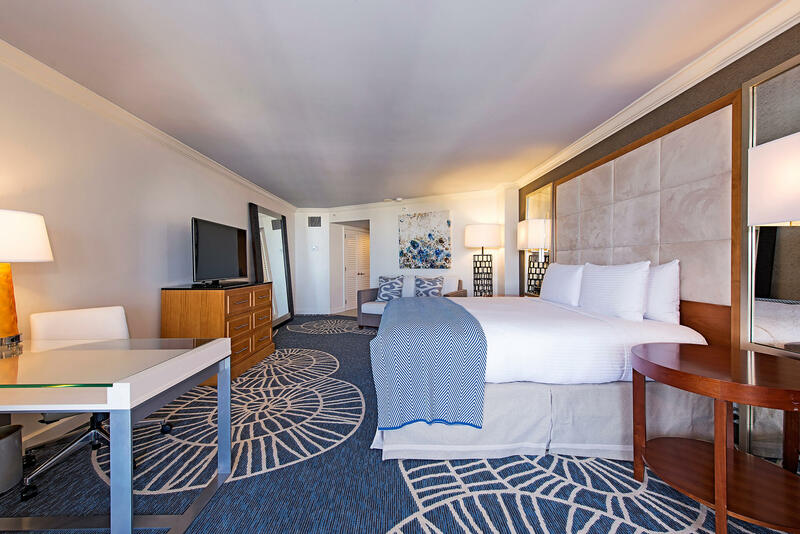 Gulf View rooms offer one King or two Queen beds & feature spacious bathrooms, beach-inspired palettes, and signature amenities on floors 6-11 in our Tower. 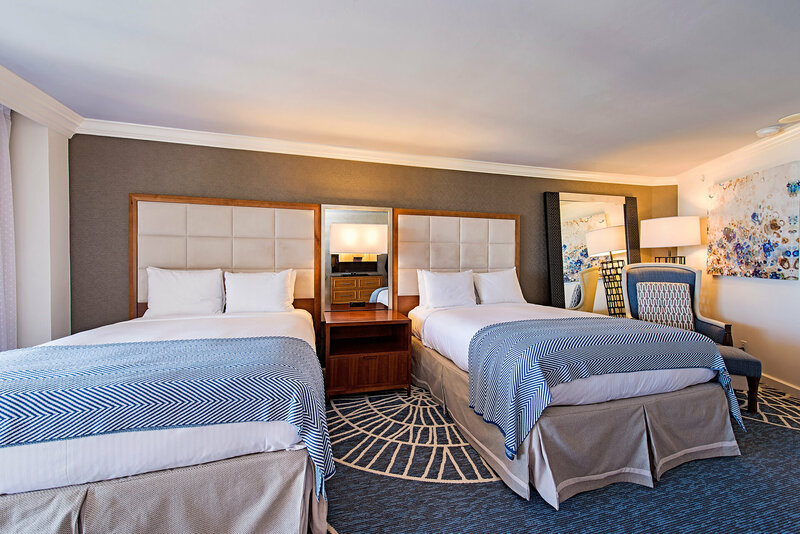 Accessible rooms (both in King and two Queen bed layouts) available upon request. 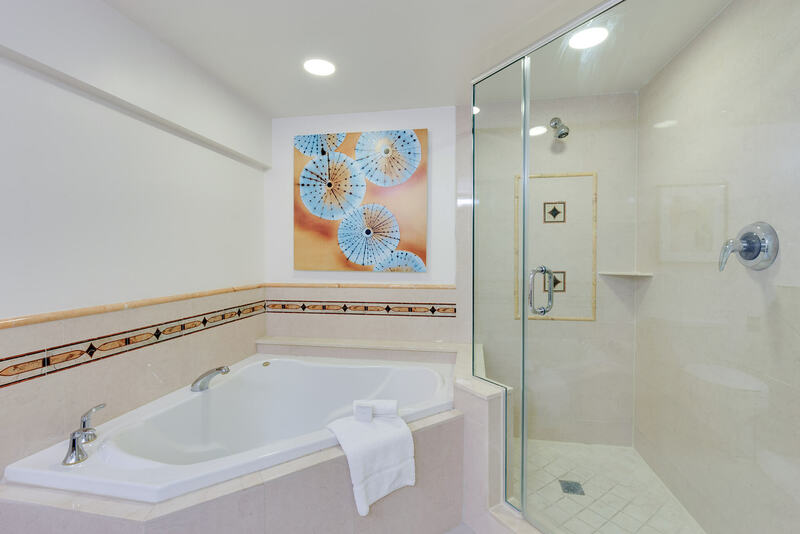 Please call to book. 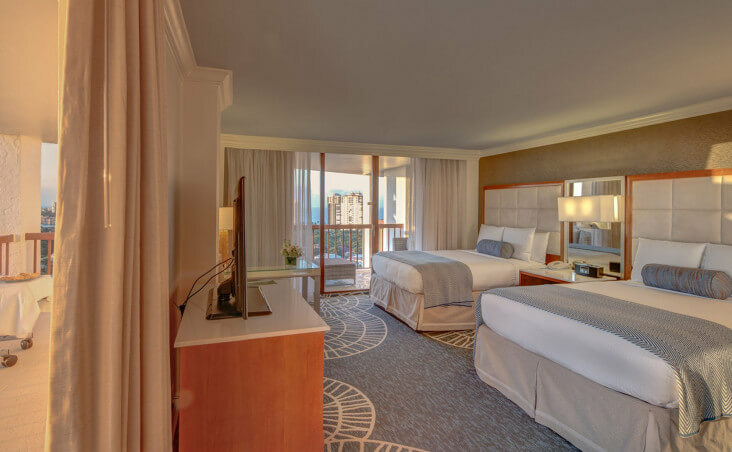 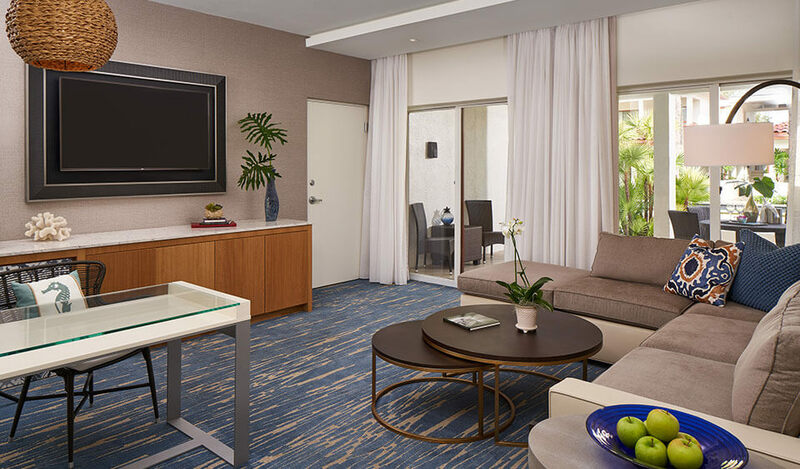 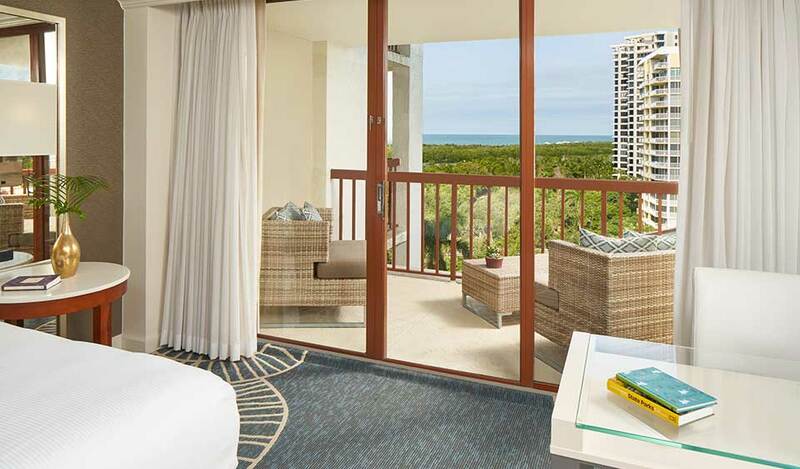 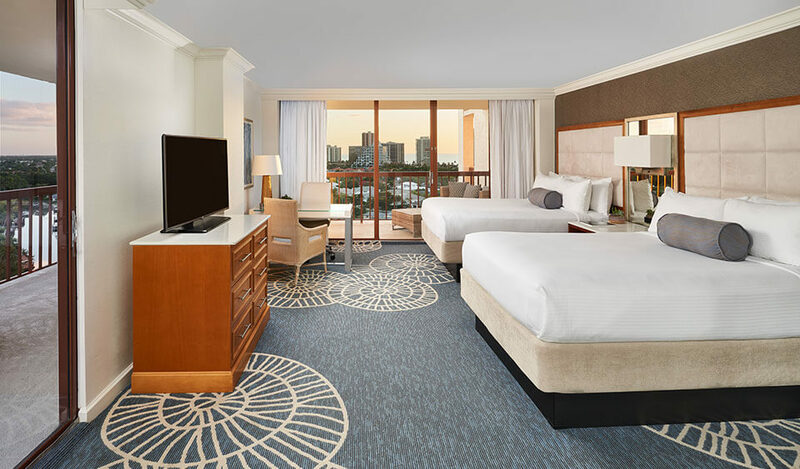 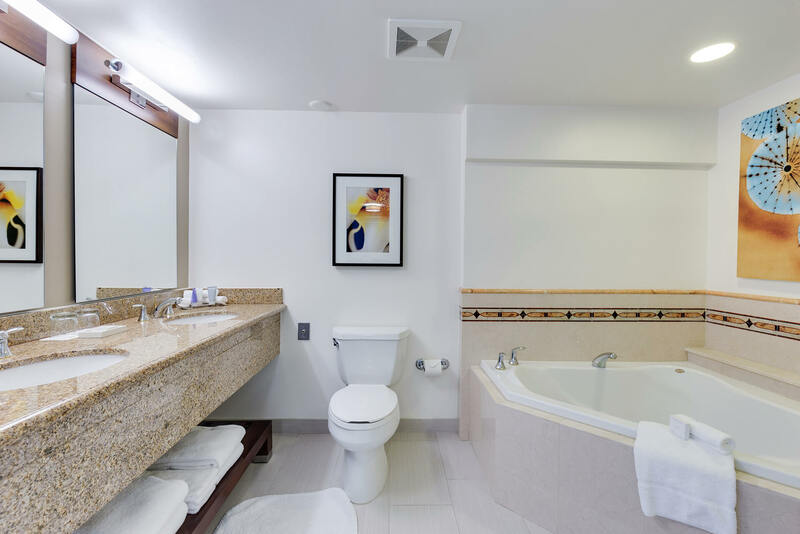 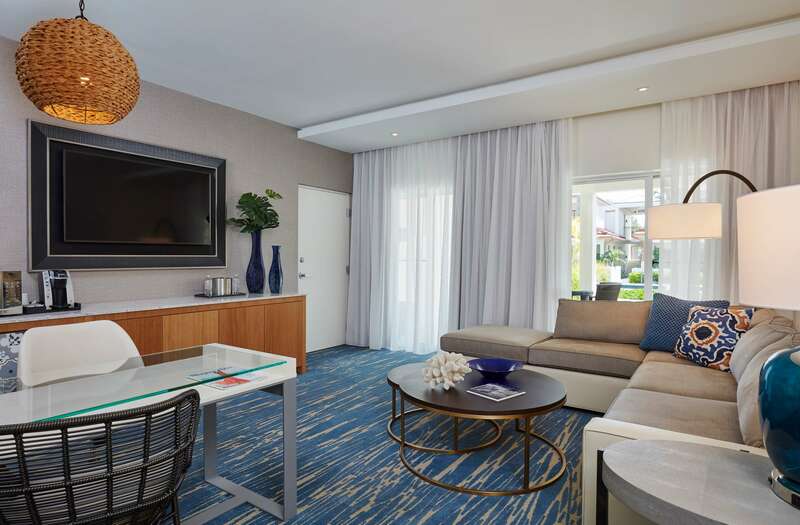 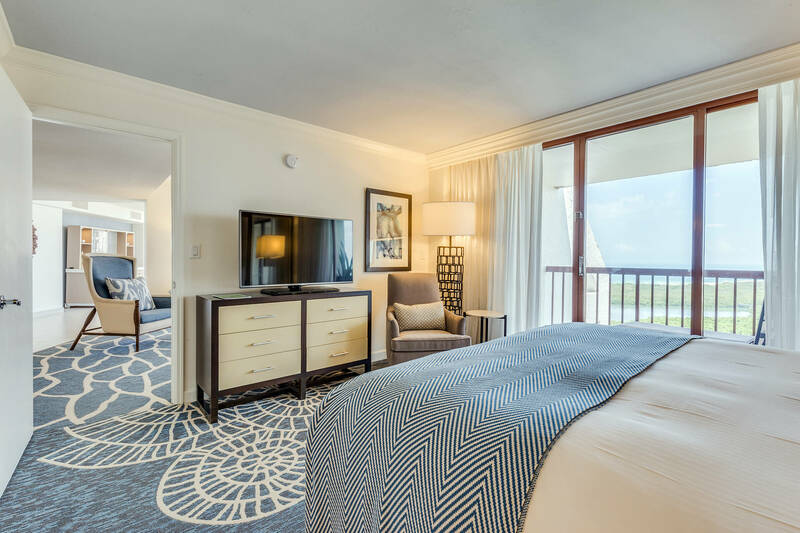 Signature Gulf View Rooms feature panoramic views of the Gulf, spacious layouts, large bathrooms with dual fixtures, a mini-refrigerator, and more, from our highest tower floors. 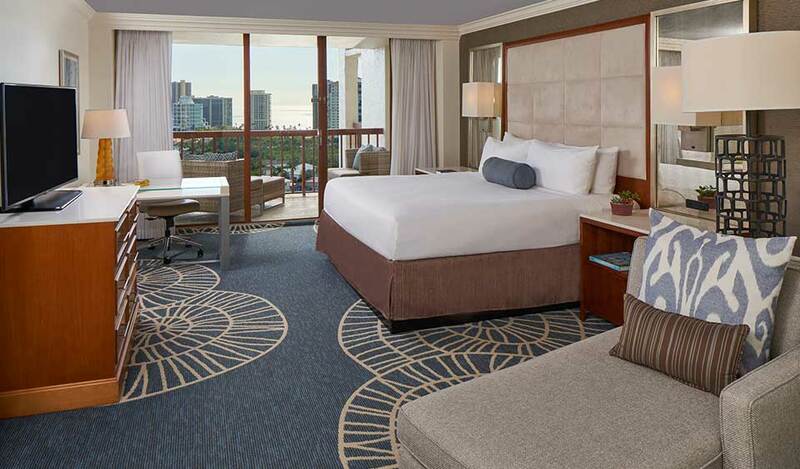 King-bedded accessible room available upon request. 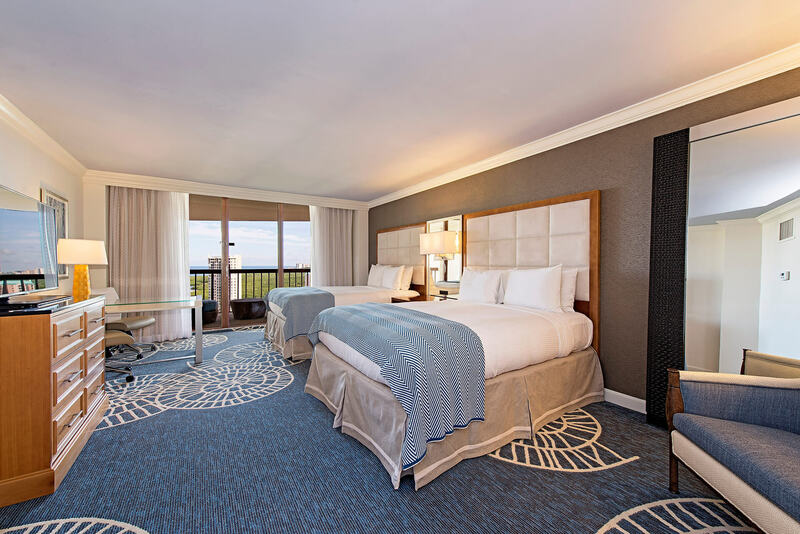 Pease call to book. 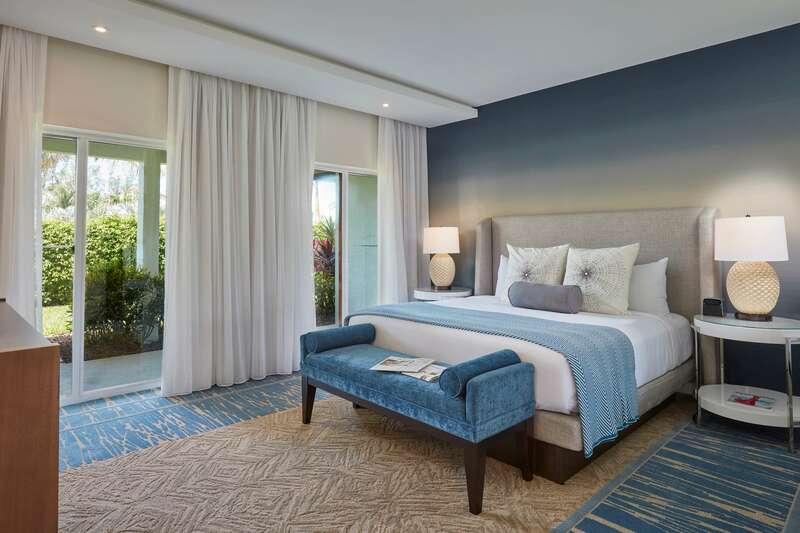 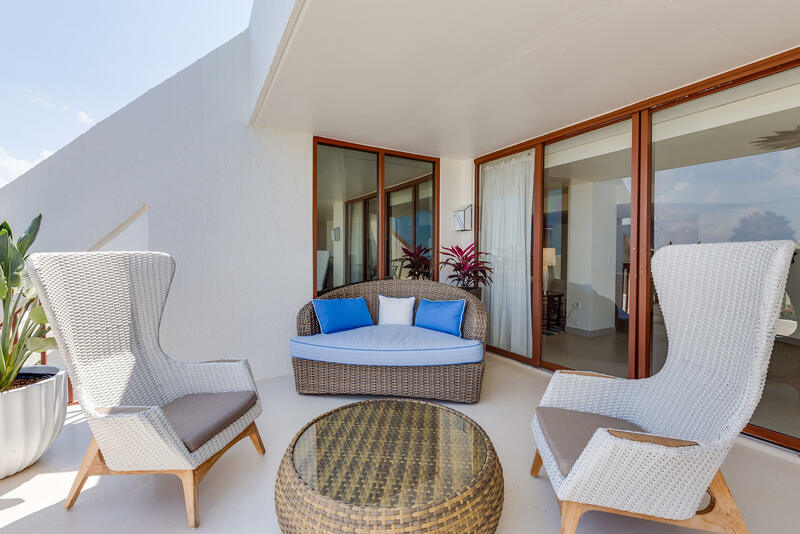 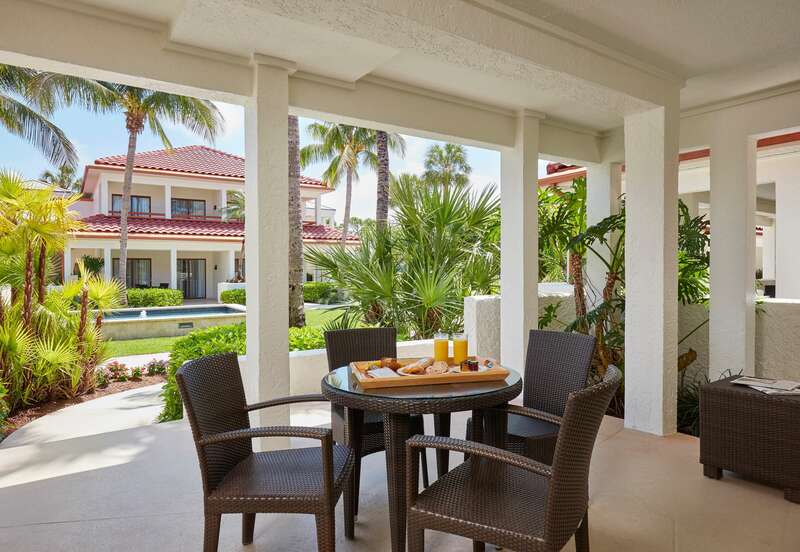 Custom designed one-bedroom Garden Villa Suites offer a peaceful oasis apart from the tower - ideal for families or friends seeking additional space and privacy. 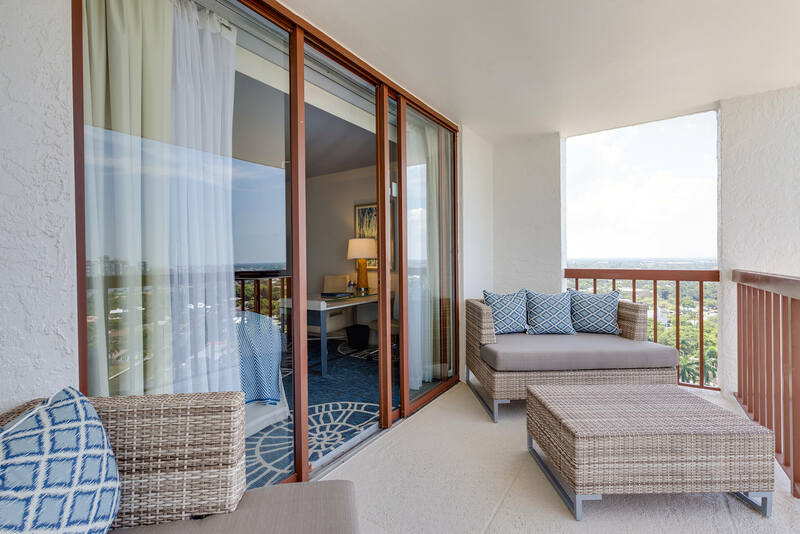 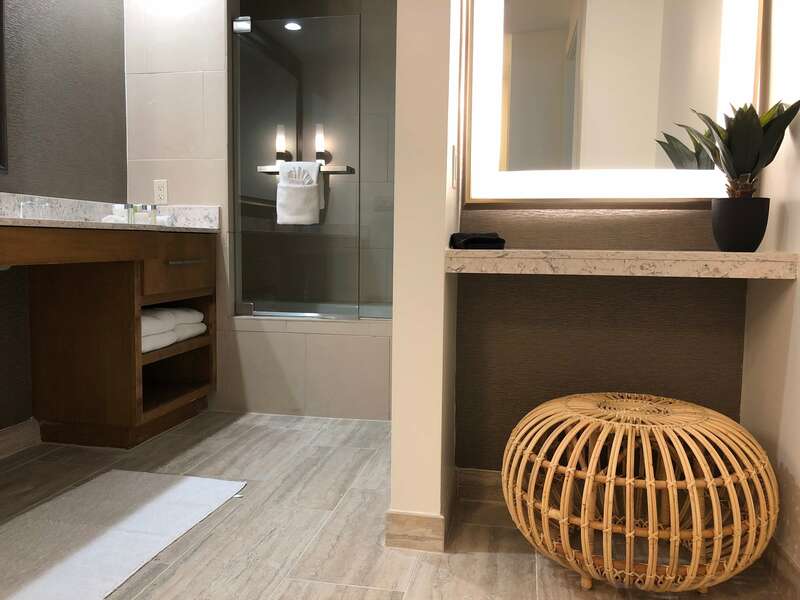 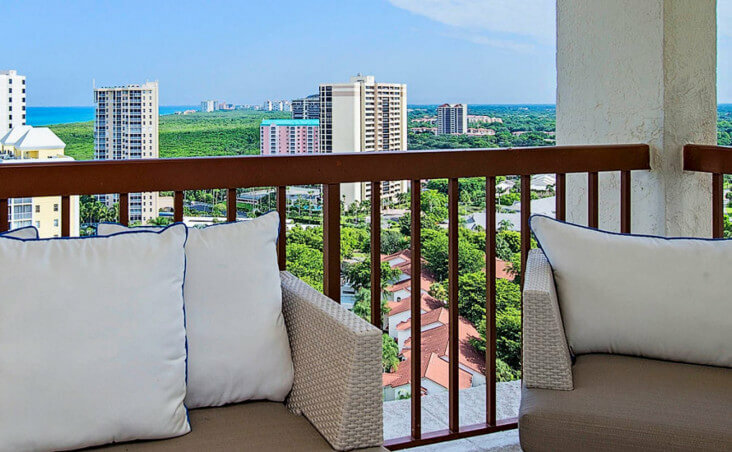 Newly-improved Gulf View Suites feature private balconies, connecting rooms, & a half-bath for guests. 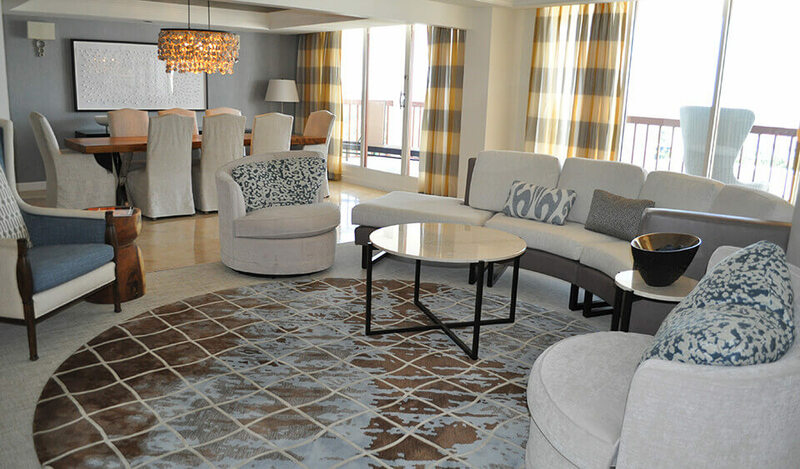 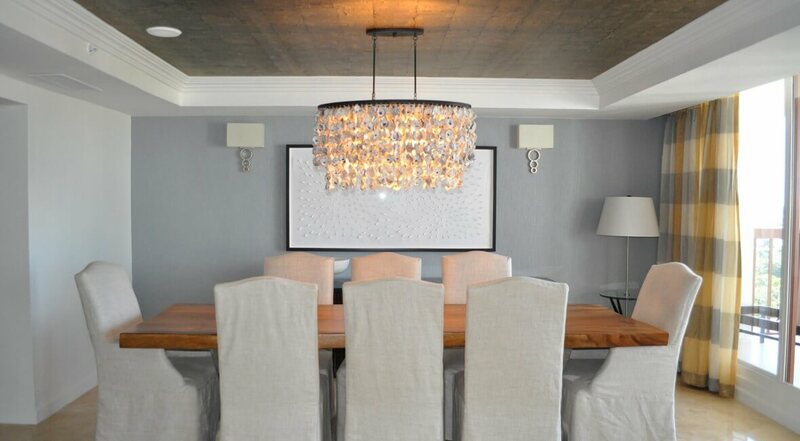 The perfect luxury for groups and families on floors 3-11 of our Tower. 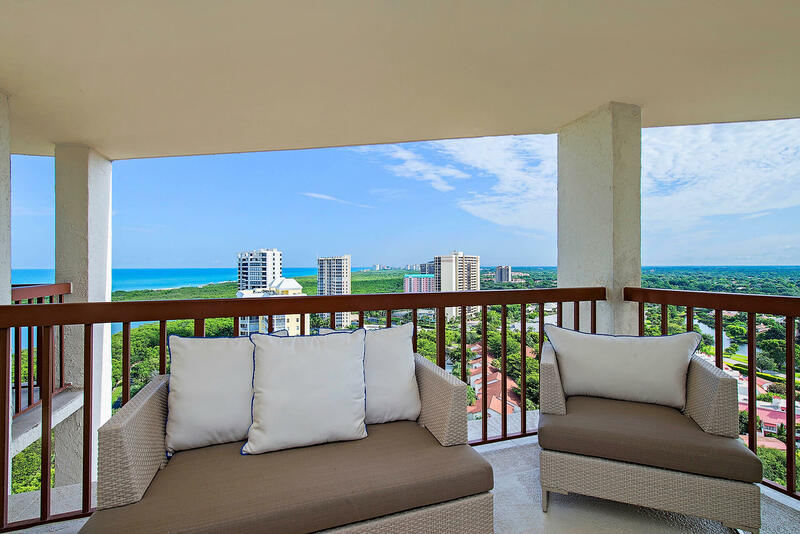 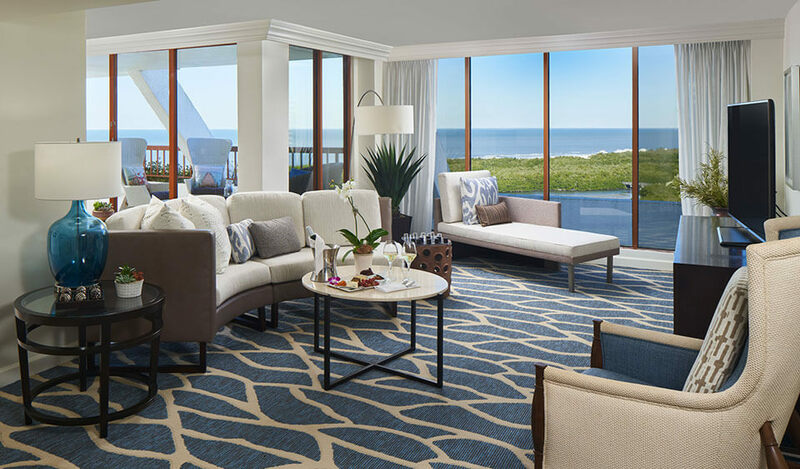 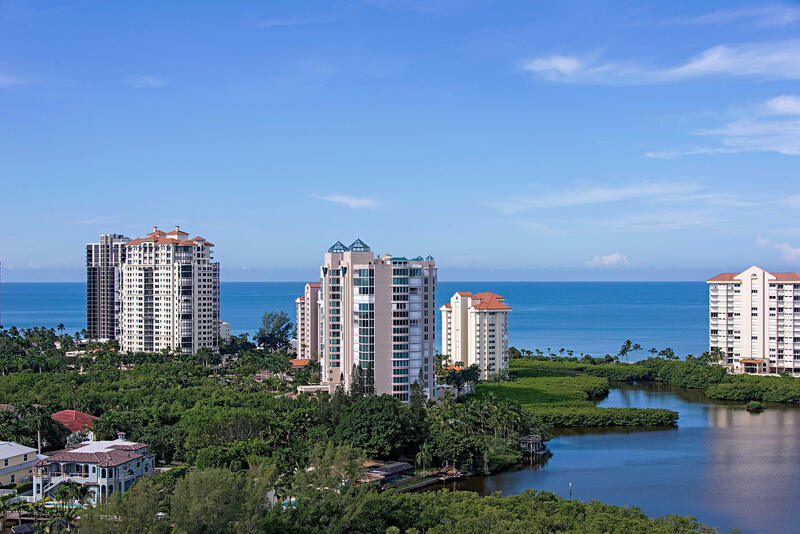 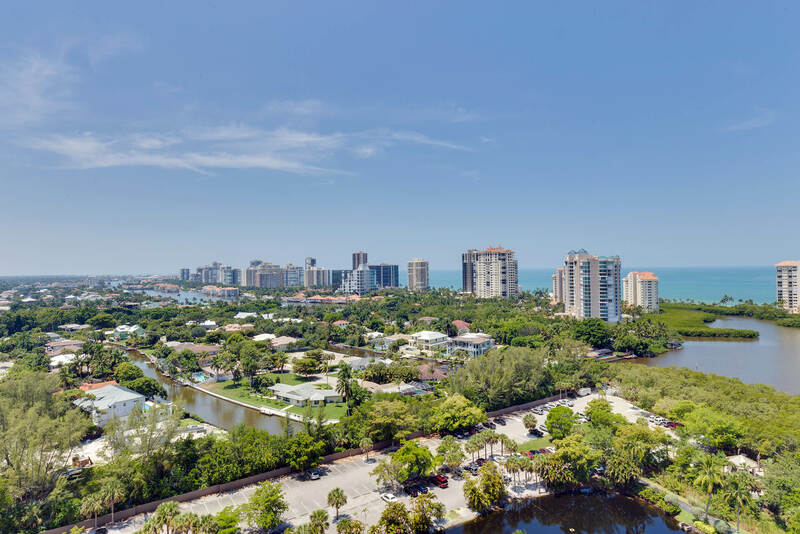 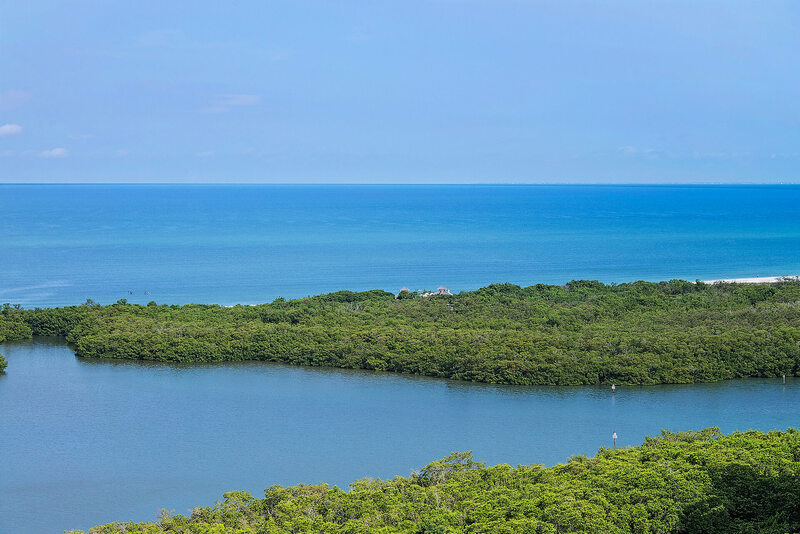 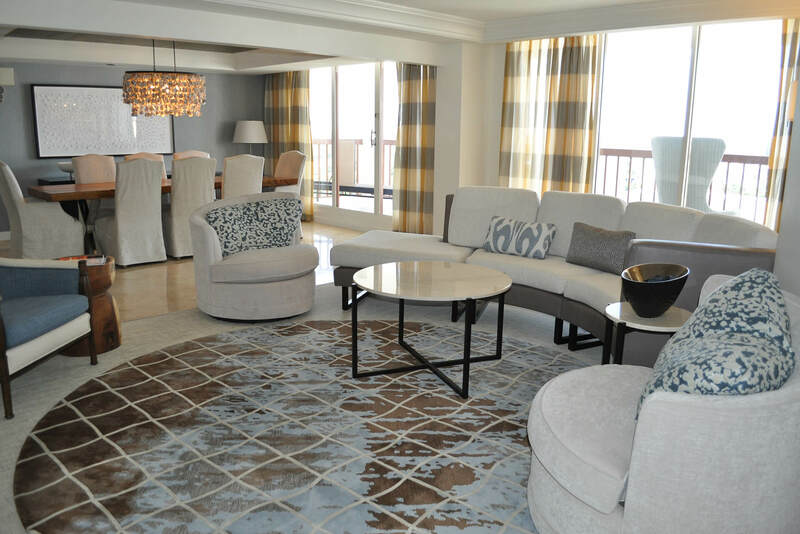 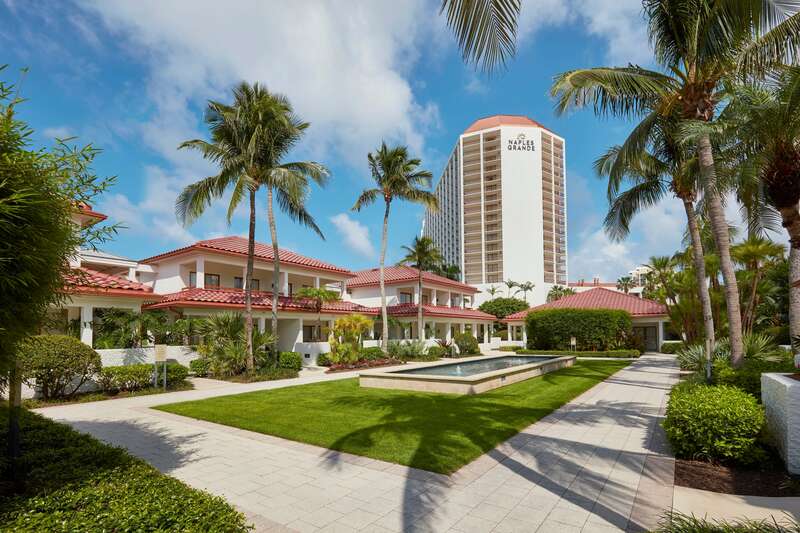 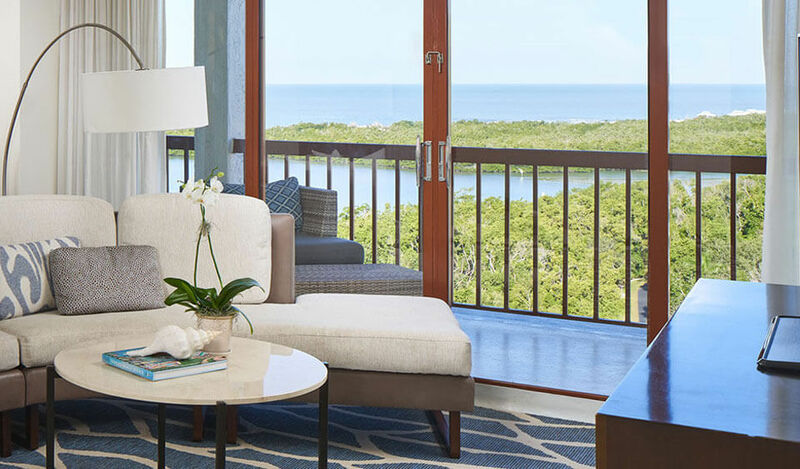 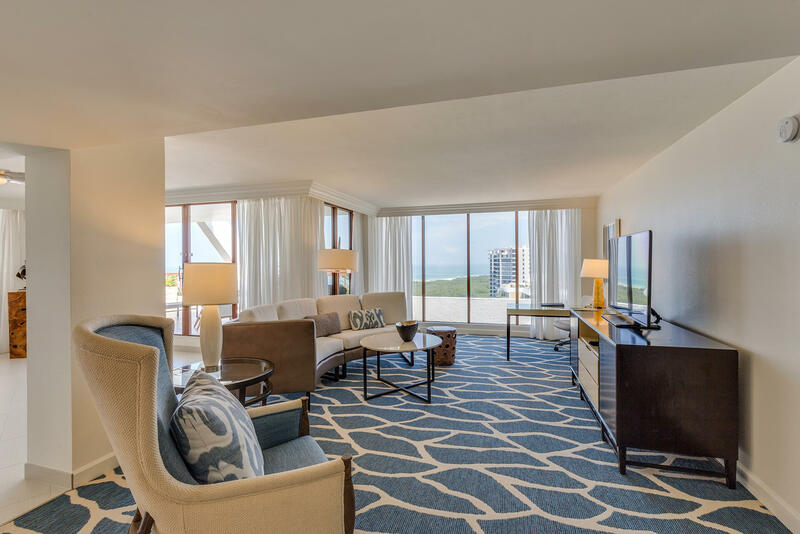 Signature Gulf Suites offer spectacular sights, a secluded setting, & a large layout that lends itself to hosting guests and gatherings on the highest floors of the Tower. 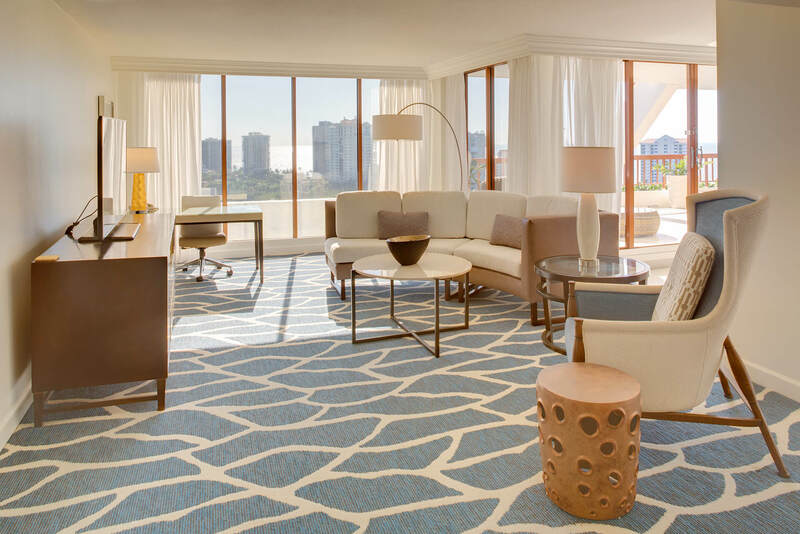 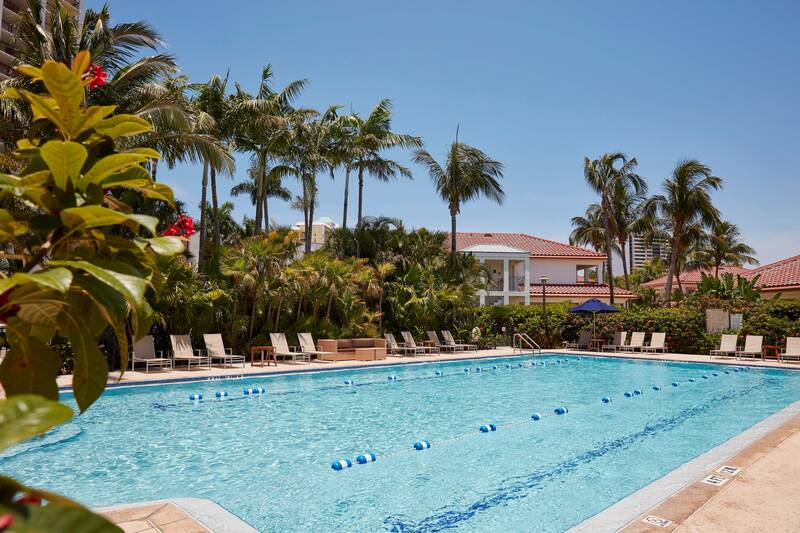 The Grande Suite, situated on the top floor of the Tower building, is the Naples retreat of your dreams. 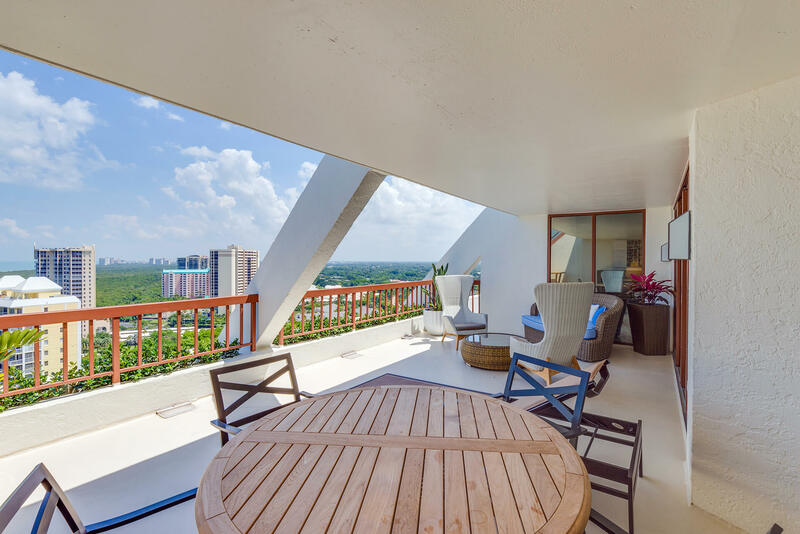 It features a Master Bedroom and private balcony.